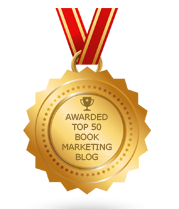 BookMarketingBuzzBlog: How Can Authors Help Authors With Book Publicity? How Can Authors Help Authors With Book Publicity? Authors seeking to promote their book, increase sales, and market their brand need all of the help they can get. One of the first places authors should look for assistance is from other authors. That’s right, authors should go to their competitors and expect to get help! Why might you ask, would a writer help another writer? Because they are really collaborators rather than competitors. Friends not foes. Authors can help others for free because they can get something in return. They can also help them as part of the brotherhood and sisterhood of a very special and unique family. All writers, at one time or another, were helped by other writers. Pay it forward – help someone now and give back to those who helped you earlier in your career. In return, the one you help now may end up helping the next generation. Emotional help, motivational support, and inspirational guidance can come from fellow writers who know how you feel and think. Need a lawyer, accountant, editor, literary agent, cover designer, or book publicist? Ask another author. Learning from writers is the best way for writers to improve their craft. Reading more books also helps. Writers can share tricks of the trade when it comes to finding accurate, comprehensive research in a quick and inexpensive way. Authors know which writers conferences to attend – they can help authors determine what to attend. This is huge – authors can write about authors, post on the books of others, and even interview authors on podcasts, blogs and social media platforms. Authors can be good business partners by helping you to defray the costs of buying things you can share in. Some authors know shortcuts to PR success. They can help one another by exchanging ideas, information, or techniques. Every author knows hundreds, or even thousands of people. In addition to exchanging access to each other’s network of readers and connections, you each can buy and trade lists with each other. Sharing leads on groups, organizations, or social media sites to join is an easy way for an author to help another. Authors can help you sift through the awards that clamor for you to apply to. Authors need a place to vent and who better to whine to than others who understand your plight? Do you really need a book publicist? Where do authors go for book PR help? How can you keep up with book publishing news? What actually works in book publicity? Do most authors make any real money from their books? Can you sell at least 10 copies of your book every day for a year? What Does It Really Take To Hit A Best-Seller List? Can you market your book for five minutes a day? That's quite a tricky thing, you know. Only your close friends will help you with your books. Perhaps, there could be a single share on social media, but nothing more. I've read an article by the guys that will write your assignment and it was a confession of Joe Hill about the way he gained popularity while he was a shadow of his dad. I have been your silent reader for long.. Now I think you have to know how much your articles have inspired me to do better. This is very insightful and informative. Thank you for sharing. I would love to see more updates from you. Do We Really Need To F**king Curse? What Are Authors Willing To Do To Get Publicity? Do You Dare Ignore The 6 Book PR Myths? Where Do Authors Go For Book Publicity Help? How Will You Market Your Author Brand Each Day? Can Books Inspire Policy Or Government Changes? Do Any Authors Make Real Money Writing Books? What Can Work In Book Publicity? Are Best-Selling Books Really Any Good? How Many Bookstores Do We Need? How Do Authors Make Their Own Fireworks?